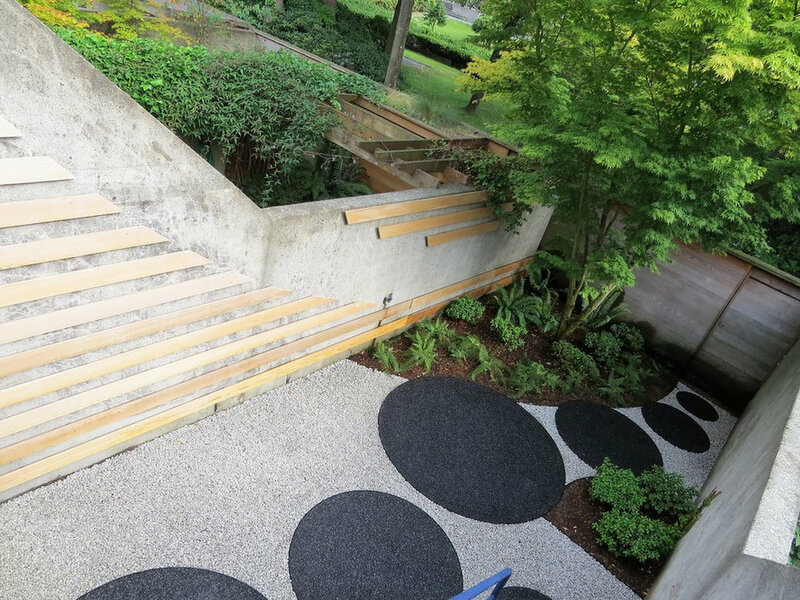 The asymmetrical yet visually balanced composition of different-sized circular paving pads is visually engaging both from the inside of the home’s ground level and from the upper levels, creating an attractive bird’s eye view. The circular theme is also referenced in the custom designed wooden slatted screen suspended from the garden concrete wall. 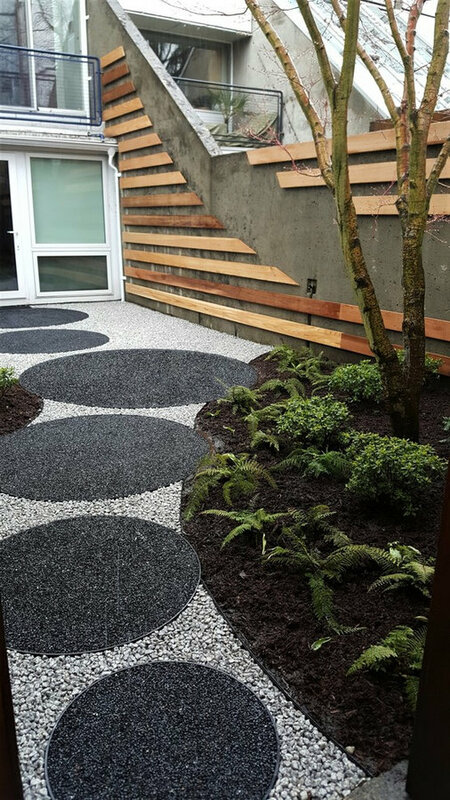 The juxtaposition between the rectilinear garden space and the circular geometry of the walkway creates a sophisticated contemporary design that is restrained but visually engaging. 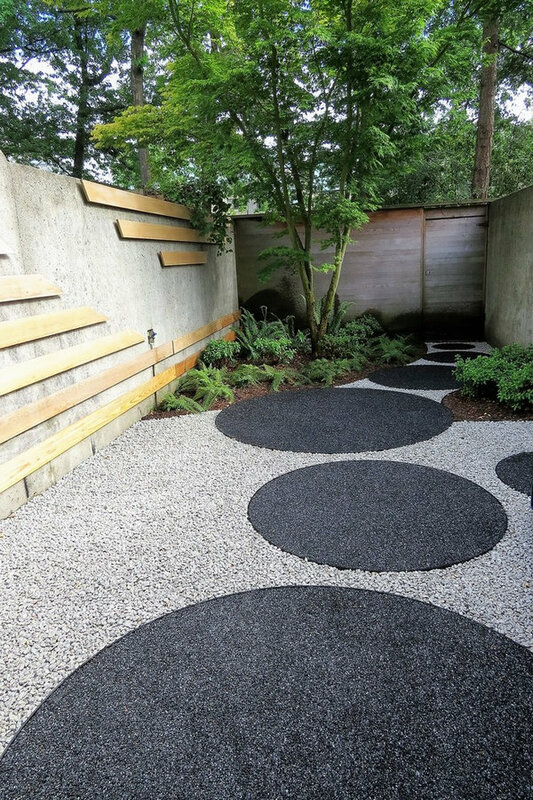 The arrangement of different-sized circular pads adds a sense of movement and rhythm to the garden creating a unique walkway leading from the home to the fence gate. 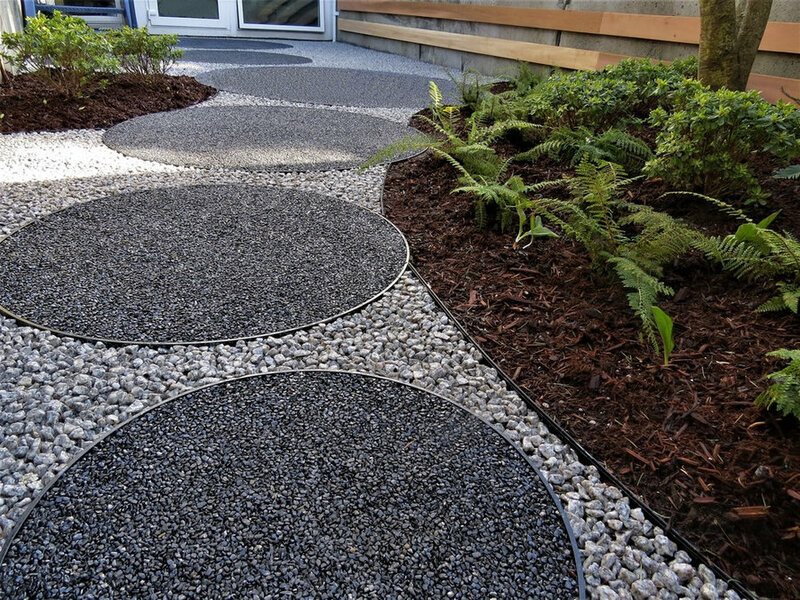 Emphasis is placed on the textural contrasts among different types of crushed granite and the plants.